Once Dyslexia was on our radar I hit the library. I burrowed a few different books and I bought this one from Speld Qld. Out of all the books I have read this one has been the most helpful. It helped me to develop a plan to help our son. It is an easy read and the fact it comes with audio is great as it made it easy for my husband to listen to it while we did our evening chores. You know those chores that make the next day easier when you have three kids 7 and under, like making lunch boxes and washing dishes! It gave me a starting point. It helped me work through my feelings on what we were going through. Even as an experienced teacher it empowered me to go in and meet with my school and ask the hard questions and to expect clear, concise answers where I was actually getting to see my sons results and being able to compare them with average results. It helped me understand the importance of assessment and what it would do for my son and me. 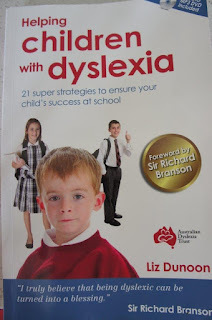 Liz Dunoon the author of this book is a teacher, her husband and three children have Dyslexia. 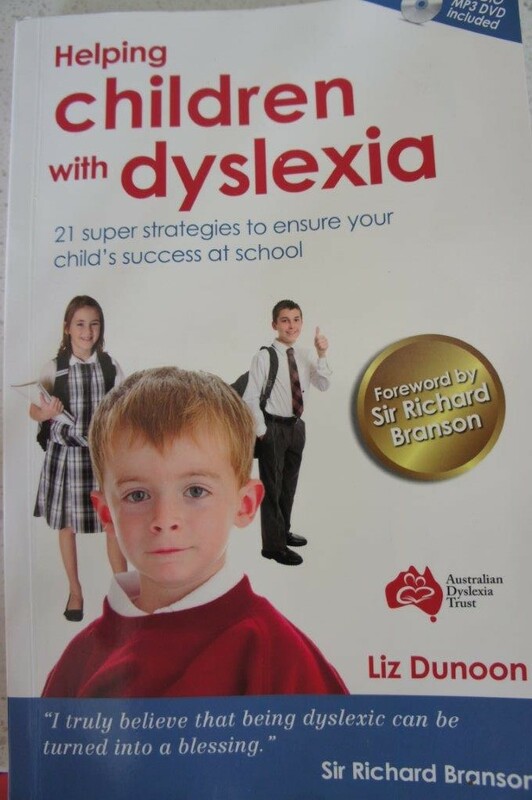 In writing this book she has talked to some of the best researchers in the field of Dyslexia, some of the most famous Dyslexics such as Richard Branson and many ordinary parents like you and I. If you are just starting out on your Dyslexia journey this might be a great starting point. It empowered me to have the confidence to make sure my son didn't fall between the cracks in the school system and convinced me that I was the my husband and I were the ones that would make the biggest difference for him. Disclaimer: This is book review is my personal opinion. I have no affiliation with the author or her products.